As a member of the TOS Review Crew my youngest got a trialhttp://www.blogger.com/img/blank.gif subscription to GoGo Kabongo to try out. GoGo Kabongo is a colorful website devoted to strengthening a child's pre-reading skills through games of various types. The recommended age levels are 4 to 7 years old. Kids get to create their own avatar in order to explore the learning games. Colorful characters guide the student through the levels or habitats. The first habitat - Laughter Lake - is free. Additional habitats are $4.95 each - with no subscription fees. If you sign up now you can get Galaxy Gardens free for a limited time. In the Treehouse you can create your own avatar in the Avatar Maker, use the Comic Book Creator, play in the Skate Park or use the Map to access the habitats. 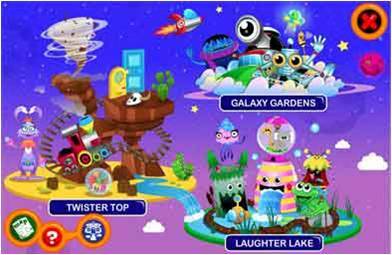 Twister Top - which contains the games Crazy Maze, Desert Dash, and Design a Door. 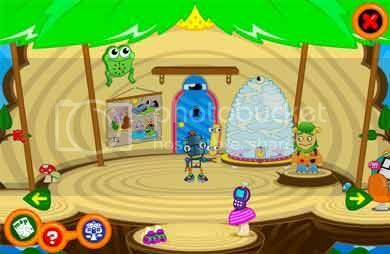 Galaxy Gardens - where you can play Photo Safari, Robo Bobo (Robot building was something my youngest liked a lot!) and Rocket Racer. Laughter Lake - has Scuba Dude, Critter Sizer, and Going Buggy. My youngest did not like the characters and refused to play the games more than once. This is not unusual for him and is not a reflection on the product. We are currently unable to determine his actual reading level but I'm sure it is higher than the target group. He is easily bored and does not like to do anything more than once. Therefore this review was mostly based on my playing around on the site. It is easy to navigate and we just had a few minor hiccups - badges not appearing - that were resolved by refreshing the screen. The games are just challenging enough without being too hard and therefore discouraging. 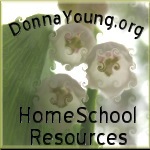 When my middle son was younger he would have loved a website such as this. I can see how it could teach visual-spatial skills along with spelling and other necessary skills. In fact it could have helped any of my guys in their weaker areas of attention, visualization and working memory to name a few. I would recommend it for any child in the target ages but especially a child who has visual tracking and working memory issues. 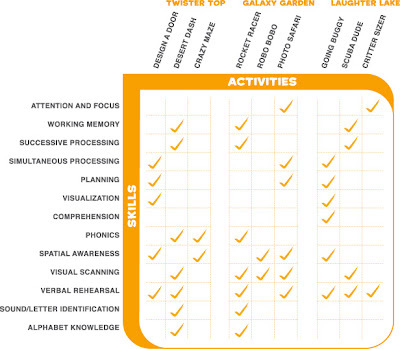 Here is a nice chart that shows the skills the website is designed to teach and a progress report is emailed weekly so you can easily keep track of your child's progress. Hi, I'm visiting from the crew's blogwalk. Nice to meet you.